Dr. Wells is an accomplished researcher in the field of biomedical engineering, focusing on the development of new types of polymeric materials for drug delivery and tissue engineering in wound healing and ophthalmic applications. She is particularly interested in cell/material interactions, and plans to develop strategies for designing and synthesizing polymers that respond to biological and physical stimuli. She is proposing to focus on instructive polymers that induce desirable application-specific biological responses and on responsive polymers interact with biological and physical cues. Dr. Wells graduated with a B.Sc. (Eng) in Engineering Chemistry from Queen’s University in 2003, where she worked under the supervision of Dr. Brian Amsden in biomedical engineering. She completed her Master’s of Applied Science and Ph.D. degrees in 2005 and 2010 respectively under the supervision of Dr. Heather Sheardown at McMaster University. Her doctoral work focused on smart drug delivery for ophthalmic applications. 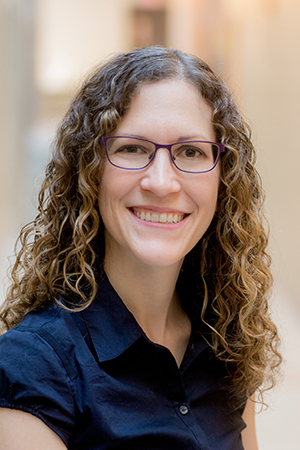 Dr. Wells completed a postdoctoral fellowship under the supervision of Dr. Michael Sefton at the University of Toronto, where she investigated the design of therapeutic polymers to improve device integration and promote vascular healing responses. She held a post-doctoral fellowship from the Canada Institutes of Health Research (CIHR) and an NSERC postgraduate scholarship for her doctoral studies. Dr. Wells will be a very welcome addition to the biomedical engineering expertise in the Chemical Engineering department that includes Dr. Brian Amsden, Dr. Ron Neufeld, Dr. Kim Woodhouse, Dr. Carlos Escobedo, and Dr. Lindsay Fitzpatrick.